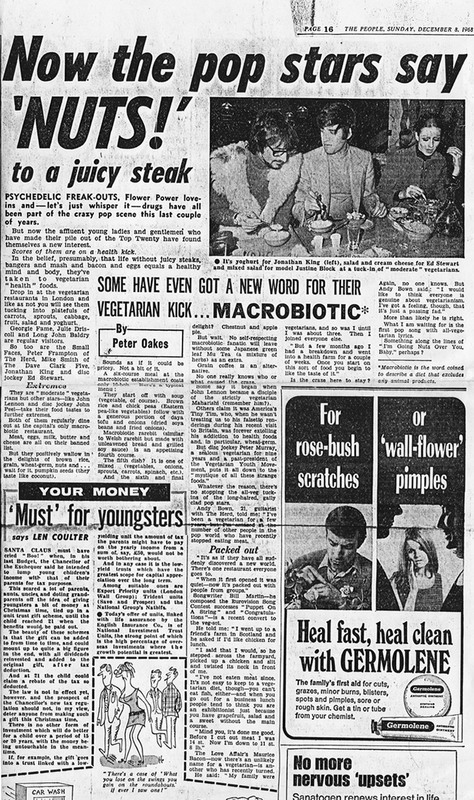 It is difficult to imagine just how bare was the British cupboard and diet of the early Sixties. You could count London’s Arabic, Thai and Greek restaurants, combined, on the fingers of one hand. The only take-away food was fish ‘n chips and if you wanted anything resembling a bottle of real wine you’d have to look hard for a specialist Italian grocer, also the only place you'd find olive oil apart from in the chemist (for ear cleaning). 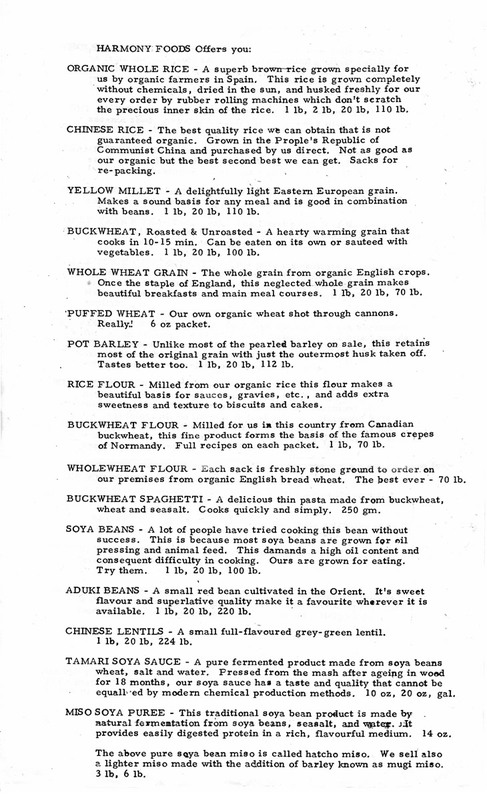 There were a handful of Indian and Italian restaurants. 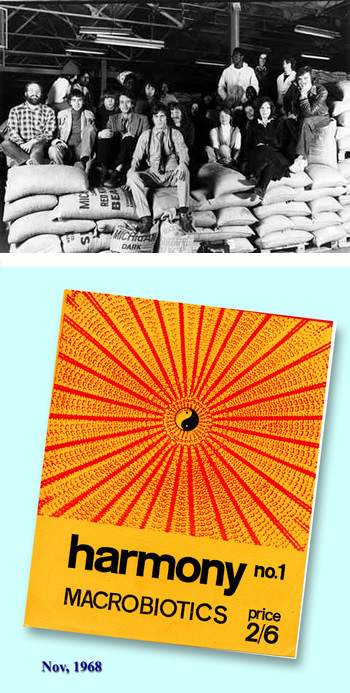 Words like “natural foods” “wholemeal” and “organically grown” were not in the language and very few had ever met a vegan. 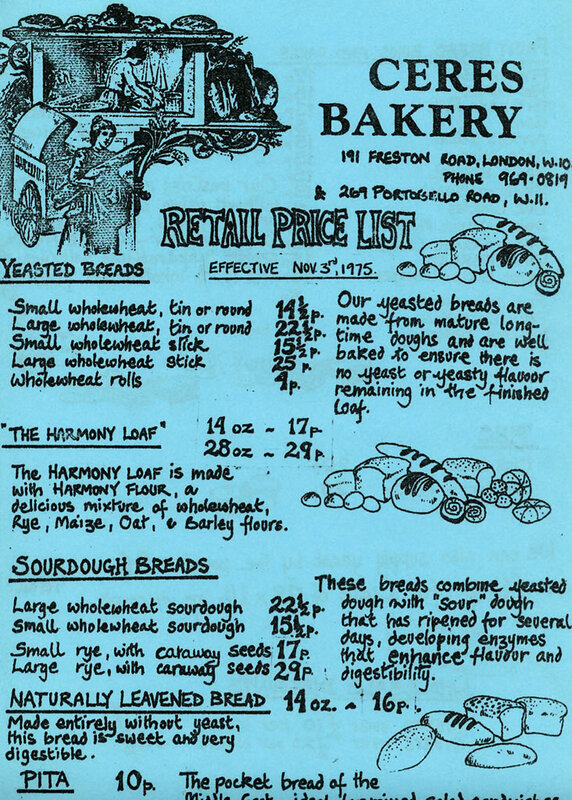 In a 1965 health food shop, you could find but of handful of what we now expect to see in any healthy foods retailer. 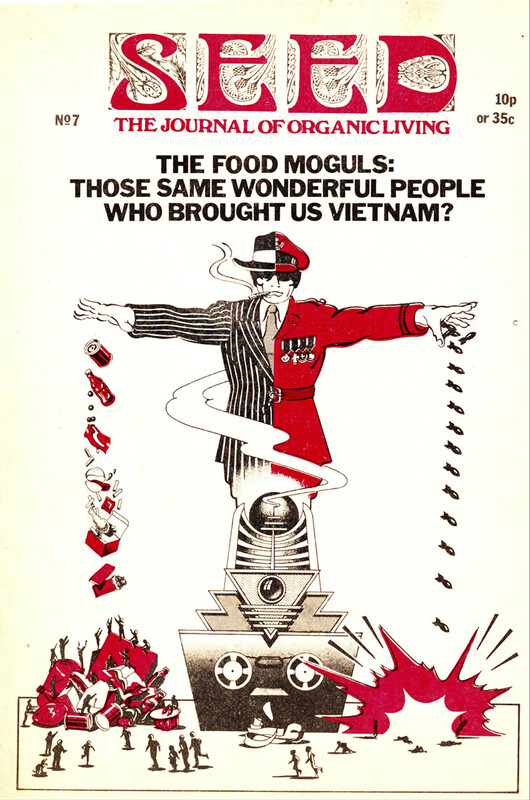 There were a few things like rolled oats, white basmati rice, kidney beans and cornflakes made with brown sugar – but none of it was organic. 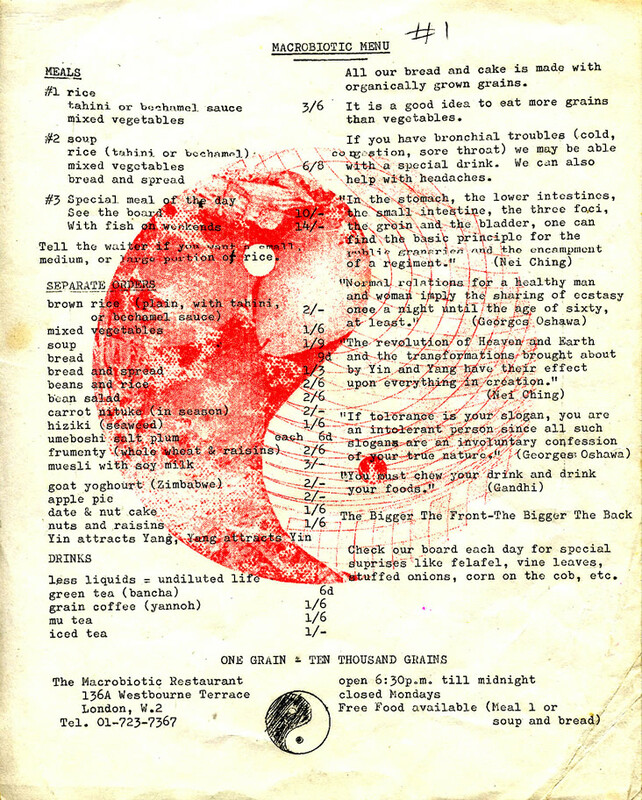 For that you’d have to travel to Wholefoods in Baker Street, the only retail shop in the country selling organic foods, grown by their farmer members. 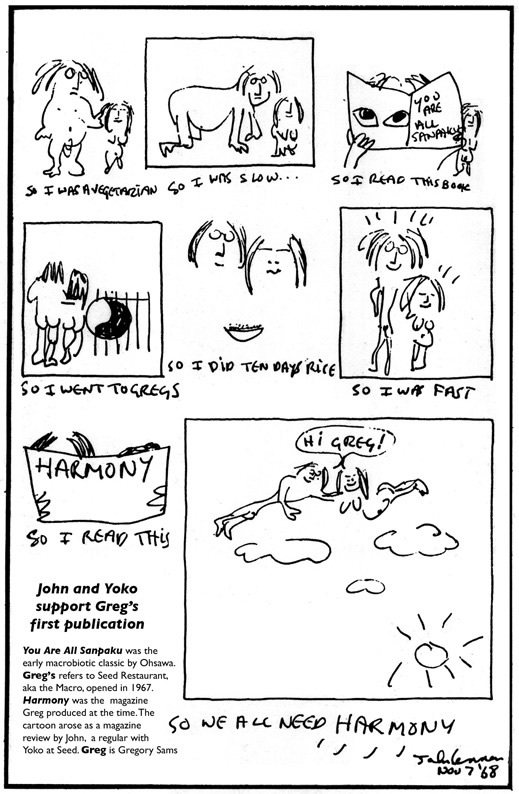 John Lennon cartoon - telling the story of John’s change of diet in the cartoon he drew to support Harmony Magazine. 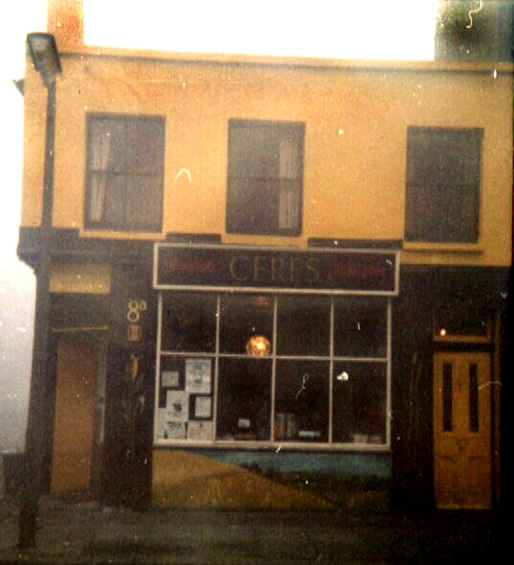 Ceres Grain Shop - the only photo we have of Britain's first natural food shop. 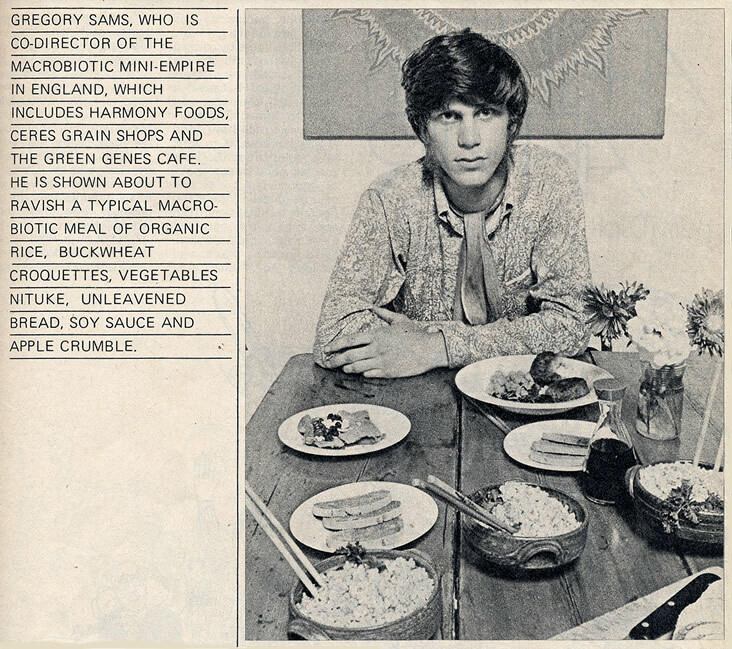 Next door was Frank Critchlow’s legendary Mangrove Restaurant. 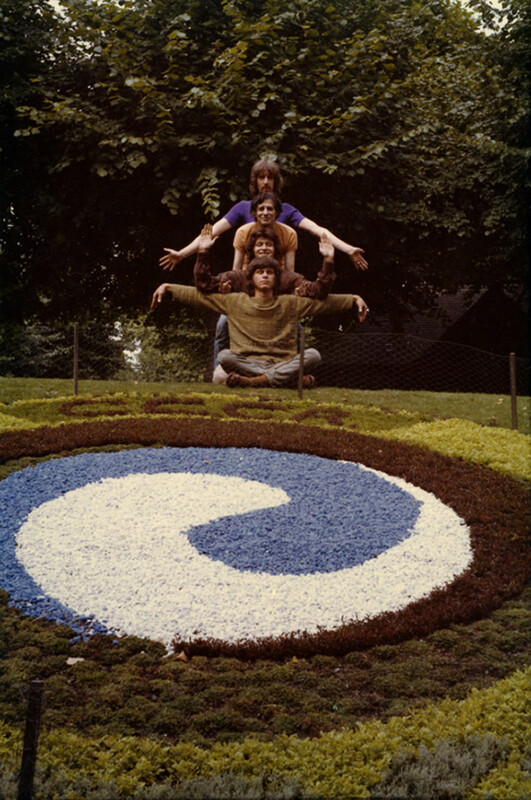 Seed moved to the Portobello before two years had passed. 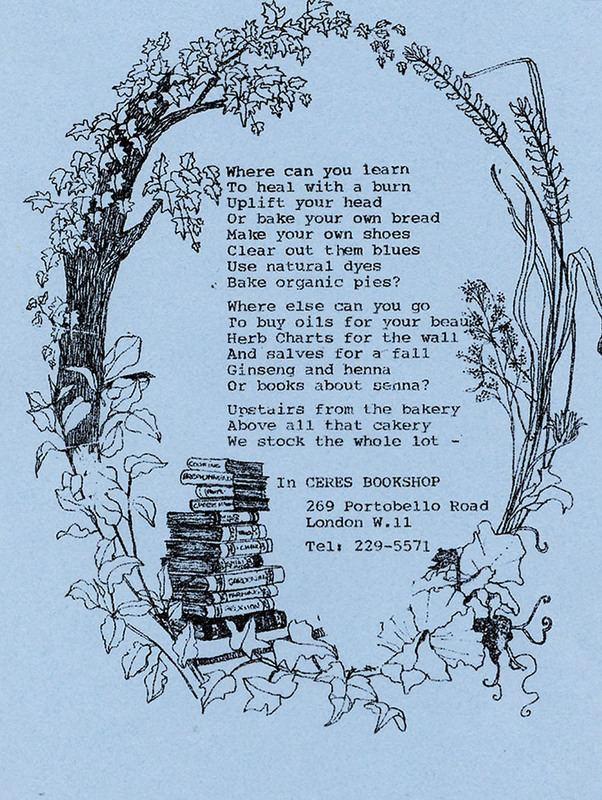 Ceres Bookshop flyer – where can you learn to heal with a burn? 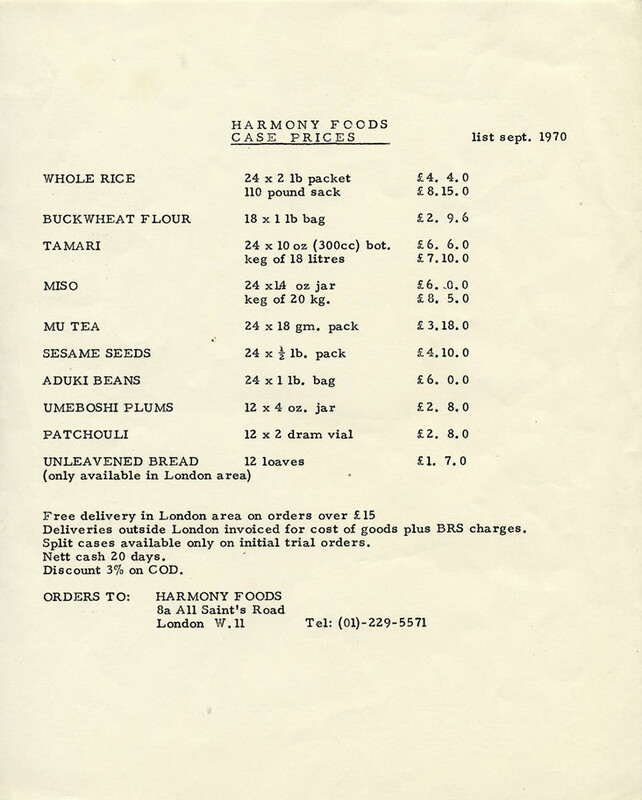 Harmony Price List sept 70 –everything on this first price list, excepting patchouli oil, was for the first time, here, packaged for sale in the UK. 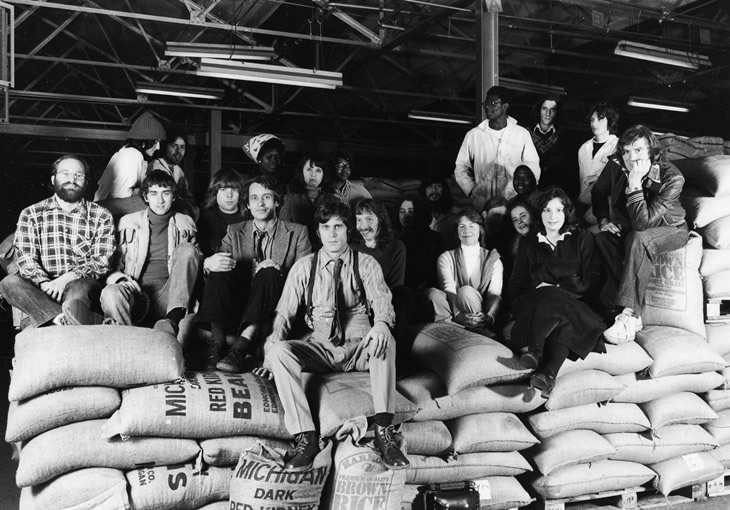 The Harmony Foods Team - another Xmas card photo, at our warehouse in London’s Bermondsey late 1970’s.